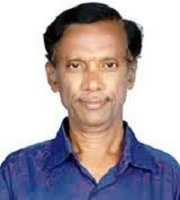 Dr. Venugopala Rao Kaki, Lecturer in English (Retd. ), is an Indian-English poet, short-story writer, critic, free-lancer and presenter of radio-talks (English) and poetry-recitations. 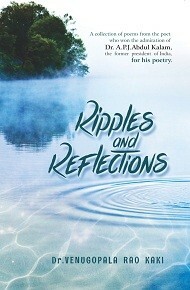 A huge number of his poems, short-stories and critiques have been published widely in the literary journals of global renown like Triveni, Poetry Time, Poet, The IndianP.E.N., Poetry Today, Poetry World, Poets International, Kavita India, Poetcrit, Contemporary Vibes, Literary Criterion, etc., and national and international anthologies of English poetry brought out by The World Poetry Society, Poetry Times and Poets Foundation. A substantial number of his poems have been posted on Muse India, Poetry.com, Hunter.com, Poetfreak and Rate.myliterature.com. His poems won him wide critical acclaim from the literary world and fetched him three significant poetry-prizes for the best poems from the most-renowned poetry website Muse India. He had the most poetic days of his life when he was blessed with letters of literary appreciation and admiration from none other than Dr. A.P.J.Abdul Kalam, the former President of India (from Rashtrapati Bhavan) for his poem ”The Angel Dreaming of Glorious India” composed on Kalamji and for his critique on Kalamji’s autobiography Wings of Fire. A free-lancer contributing articles on a wide-range of subjects to English-newspapers, he possesses to his journalistic credit, a huge body of articles Published in The New Indian Express, The Hans India, etc.